Universa solves the barriers of entry into real world applications that conventional blockchain tech is facing: speed, scalability, and cost. 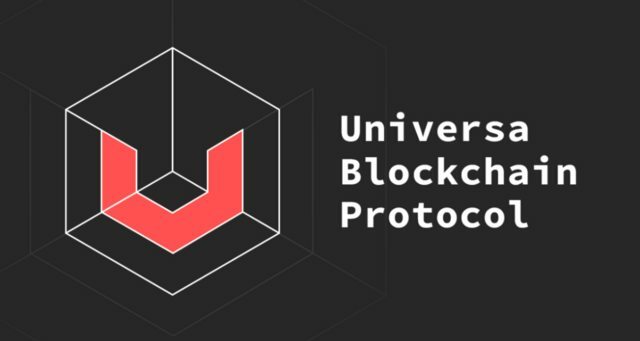 Universa envisions that its architecture will be superior for creating Dapps (Decentralized Apps) due to privacy, low fees, and high network speeds. Over 180k bitcoin transactions were held up in November 2017 – after a swath of miners decided that they would rather switch to mining Bitcoin Cash – bringing much of the hash power used to mine bitcoin with them. Can cryptocurrencies ever be ready for mainstream adoption when nearly 10 years later, networks are still susceptible to ‘strikes’ such as this? Universa does not store anything unnecessary on their blockchain. In Bitcoin, for example, all transactional data and a complete history of the states is stored on the blockchain. Universa’s only focus will be to ensure the validity of such data, as well as security. This substantiates the boast of Universa’s speed. In the blockchain, token ownership is ‘proved’ by a contract. Say, if Sally has 10 bitcoin and sends 5 to Alex, this data is stored on the blockchain. 0x1: Sally has 10 bitcoins. 0x2: Sally has 5 bitcoins. 0x3: Alex has 5 bitcoins. Sally sent 5 bitcoins to Alex. Sally now has 5 bitcoins. Alex now has 5 bitcoins. 0x2 is valid. 0x3 is valid. 0x1 is no longer valid. Universa smart contracts have different ‘abilities’ than Ethereum smart contracts. In Ethereum, a smart contract contains validation logic as well as contract ‘documents’ that constitute what agreement terms are in the contract. Validation logic constitutes code that will execute the conditional terms of the contract. In Universa, this validation logic is excluded for the most part. Simply put, a smart contract will act very much like a real world contract and contain just ‘terms and conditions’. This makes it much easier for business to adopt blockchain technologies by having to integrate a lot of coding and validation syntax in addition to the conditions of a contract (what most Dapps around do). For example, if Alex wants to use an Ethereum smart contract to send 5 ethers to Sally, it will require coding both the ‘details’ for the contract and also the code. Send 5 ethers to Sally at 3pm on the 20th of November 2200. Whereas in Universa, Alex will just provide the ‘details’ and the validation logic will be executed by Universa. Alex does not have to know how to ‘operate’ the contract. Universa’s contract editor does not require the input of a single line of code. It can be found here. Universa's architecture effectively decouples data storage and data validity storage. Now, even the Universa blockchain itself will not have knowledge of what constituted the contract. In the guise of blackbox testing, nodes will only be able to answer ‘yes, hash X is valid’ and not ‘this is what occurred in hash X’. This is certainly beneficial for privacy. Universa is also private. Validation of transactions can be done by only offering partial information to the validator without exposing the full ‘secret’. In fact, the crypto cloud used for storing smart contracts and chat communication (which can be found on the Web Client) is also fully zero-knowledge. There is a flurry of use cases with Universa, which will be delved into deeper later on in their roadmap. However, they have a few applications on their sights: b2b contracts, IoTs, true micropayments, and multisig contracts. The primary strength of Universa would probably be the ease of releasing new tokens and the luxury of being able to have validation done offline. Co-founded ReiSoleil McAfee Zhu Ventures LLC (RMZ) with Mr. McAfee and Mr. Zhu in July 2017. Partner at Bankex and Terreus Capital. President of Next-TV, and Chairman of STM Digital Holdings Group. Chairman of LDJ Capital, a family office; Victoria Partners, a 300 family office network based in London; LDJ Real Estate Group and Drake Hospitality Group; and The Soho Loft Media Group with divisions Victoria Global Communications, Times Impact Publications, and The Soho Loft Conferences. *I would like to thank Alexander Myodov (Universa Blockchain Developer) for being attentive to my queries.